The cake has been eaten, the flowers dried and pressed, the hats are boxed, the beautiful dress cleaned and wrapped. As many aspects of your epic day are folded neatly away, another page is about to unfurl. In the not so distant past before "likes" and "retweets", in dwellings throughout the lands, wedding photos would have found pride of place in the home. Perhaps we no longer have a good mahogany sideboard in our parlour, but you can be sure that we all have a space, or many, to showcase our special, forever images. A place to display a permanent record of you, at your best, in your finest, full of style, swagger and joy. The day when the world truly did revolve around you both. We are delighted to offer you a complete photography service. 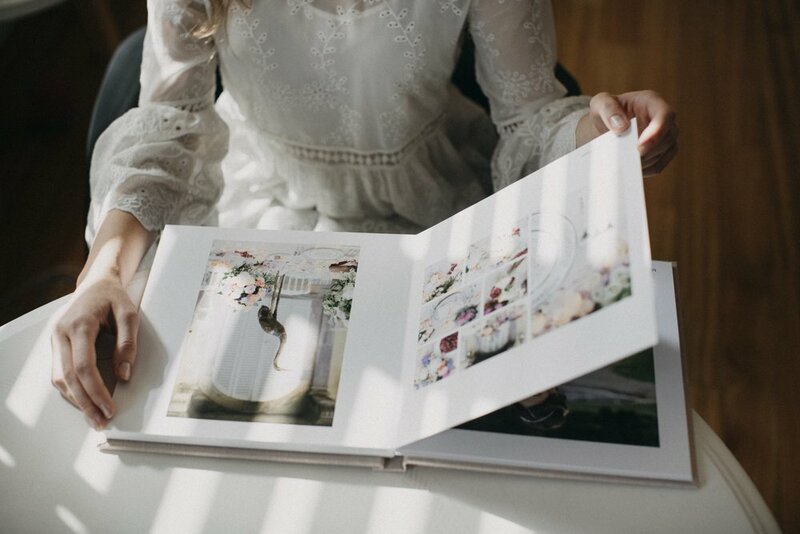 Whether it's a hand-crafted show-stopping Fine Art Book, miniature books for your parents so they can easily show friends and neighbors (and quite possibly total strangers too), just how gorgeous you and the day truly was; to a framed fine art print or two.